Author of The Rocky Horror Tantra Book and founder of the Advait Tantra School, Rahasya Advait is at the forefront of the Tantra world in South Africa and abroad. He started his exploration of Tantra and related teachings in 1983 acquiring his training from the community of Tantra teachers at Osho International in Pune, India. , He has been teaching Tantra since 2002 with his primary focus on guiding women to their highest potential as Dakinis. 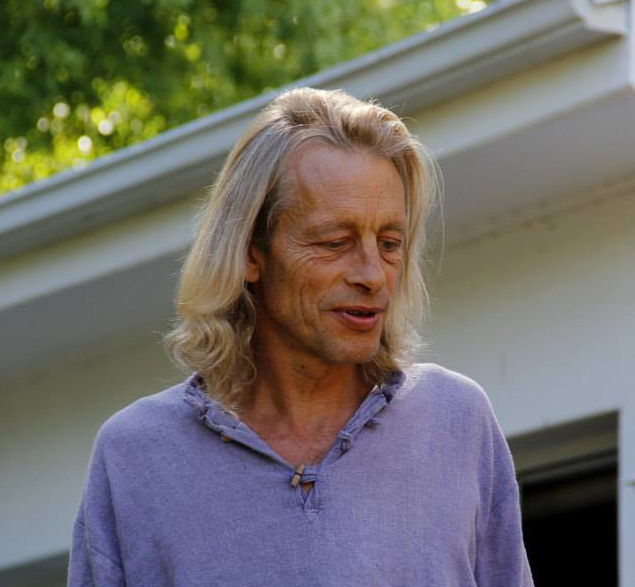 He teaches groups and workshops and facilitates Tantra retreats locally and internationally. Rahasya was born in Zambia in 1962, raised with considerable freedom, curry and yoga by a remarkable woman who had spent WW2 in India. Moved to South Africa in 1970, and, from 1976, was schooled in Grahamstown. He escaped or sidestepped service in the army of apartheid and, at seventeen, worked underground on two of the world’s deepest gold mines. Through his twenties he worked on films in various functions including stunt man and fight sequence director. An almost respectable career as a pioneer of DTP followed, transitioning SA’s leading graphic design house to the Macintosh way. All along this journey, Rahasya followed his deep interest in martial arts, massage, meditation and sacred sexuality. He was influenced and guided by the teachings and works of Osho, Margot Anand, Barry Long and other contemporary Masters and teachers. Rahasya had 14 year relationship and raised children with Pashianti. They eagerly took every training and attempted every practice they could find, testing, refining and developing their capacities as tantrikas with a great intensity and will. Pashianti currently facilitates tantra groups at the Osho Multiversity. Rahasya completed his own seeking in 2002 and soon started a teaching which has guided many women to their flowering. Several of them have flowered as teachers of women, spirituality and tantra. Based in South Africa and teaching mostly in Cape Town, Rahasya and other teachers of and from his school present their understanding in the modes of individual sessions, groups, workshops and intensive, experiential residential retreats. His students have included Shakti Malan, author of Sexual Awakening for Women, Dakini Shima, producer and narrator of the movie Lalla The Buddha and Dakini Wendy, the developer and prime teacher of the touch-work of the Advait Tantra School. Rahasya believes that the world is now sufficiently tolerant in many places that the traditionally secret practices of Tantra can, with care, be used more openly and can be known more widely than they have been for the last few thousand years.